Gold plated Buckle with a twin gold plated loop shown on a Brown Fine Calfskin leather strap. 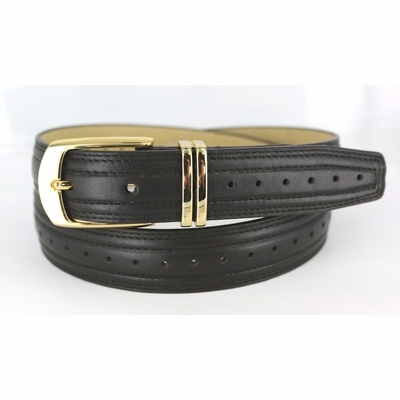 Stitched Edge, perforated center line, lined with soft Genuine Leather 1 1/8" wide. Questions? Comments? Prefer to order over the phone? Call us at 714 572 3903.